When metals react with other substances the metal atoms form positive ions. The reactivity of a metal is related to its tendency to form positive ions. Metals can be arranged in order of their reactivity in a reactivity series. The metals potassium, sodium, lithium, calcium, magnesium, zinc, iron and copper can be put in order of their reactivity from their reactions with water and dilute acids. 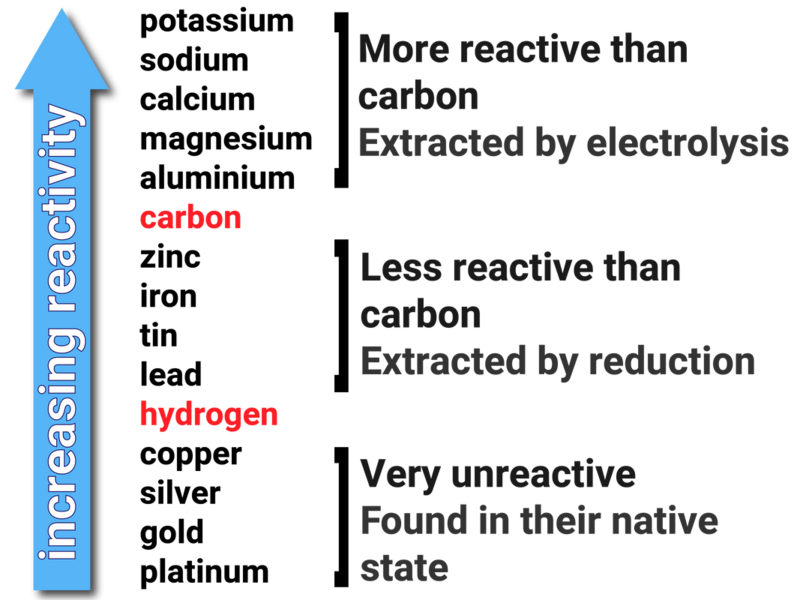 The non-metals hydrogen and carbon are often included in the reactivity series. All metals will react with substances differently, and even the same metal can be more or less reactive depending on what it is being reacted with. Rather than having multiple tables for each specific reaction, a diagram was created to show the average reactivity of metals with water and dilute acids. The reactivity series can also be used to see the relative tendency for metal atoms to form cations - the higher up the series, the more likely it will form a positive ion. Something similar can be said for a metal's resistance to oxidation - the higher up the series, the more easier it is to oxidise. Most metals do not exist naturally on their own, but combined with other elements, and compounds, as ores in the Earth's crust. Most ores contain oxygen, and so when a metal reacts with oxygen a metal oxide is formed. This is called oxidation. Removing the oxygen from the compound to extract the metal is called reduction. To extract iron we need to reduce the ore. This means we take away the oxygen. The metals right at the bottom of the reactivity series are unreactive, and are found as uncombined elements in the Earth's crust. 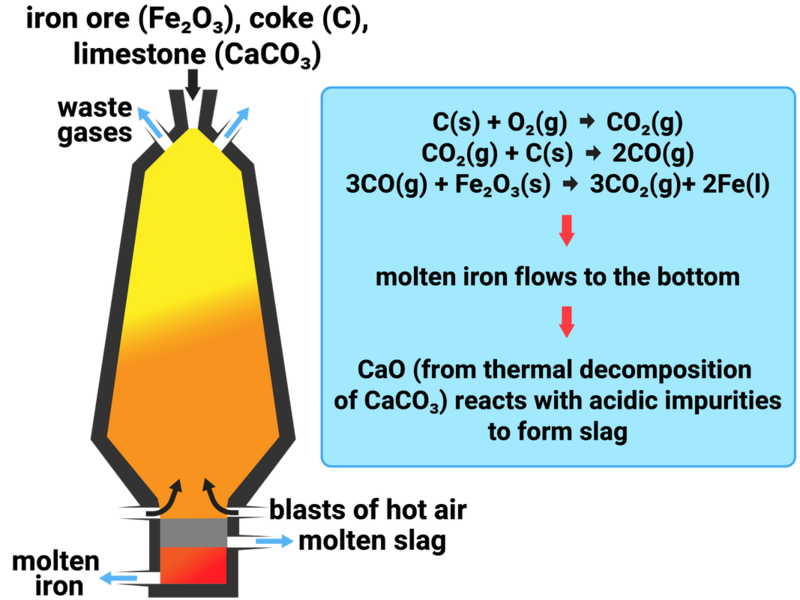 Knowledge of the blast furnace (shown here) is not needed, and is only shown to illustrate how carbon is used to extract iron. The least reactive metals are found in their native state in the Earth's crust. This means they are found as uncombined elements. Any metal more reactive than hydrogen, but less reactive than carbon, can be extracted by adding carbon to displace the metal from its oxide (or other compounds). This is known as reduction. The most reactive metals have to be extracted using electrolysis, as carbon is not reactive enough to displace the metals. This is rather costly, and uses a lot of electricity. Aluminium oxide is insoluble in water, so it must be molten to act as an electrolyte. 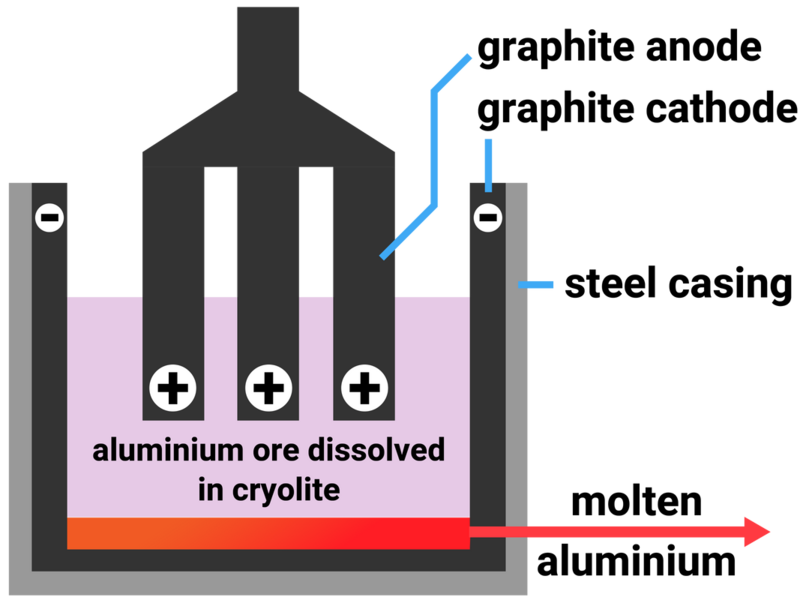 A lot of energy must be transferred to break aluminium's ionic bonds, which is expensive - so to reduce costs, powdered aluminium oxide is dissolved in molten cryolite. This melts at a lower temperature than aluminium oxide and helps reduce costs. 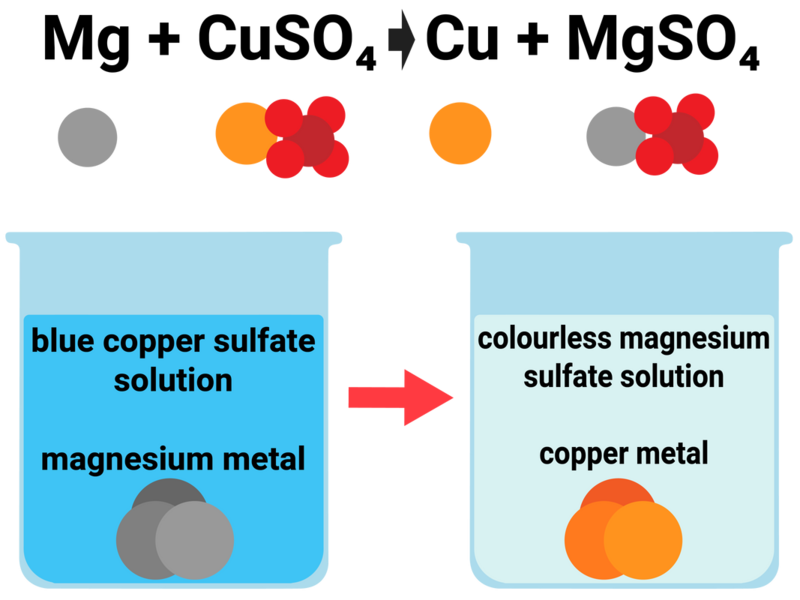 By writing our equation in this way, we can immediately see that copper had to gain two electrons (reduced) in this reaction, and those electrons came from magnesium (oxidised). The Earth’s resources of metal ores are limited. One of the metals we are worried about is copper, as its ores are becoming scarce. Luckily new ways of extracting copper from low-grade ores have been developed. 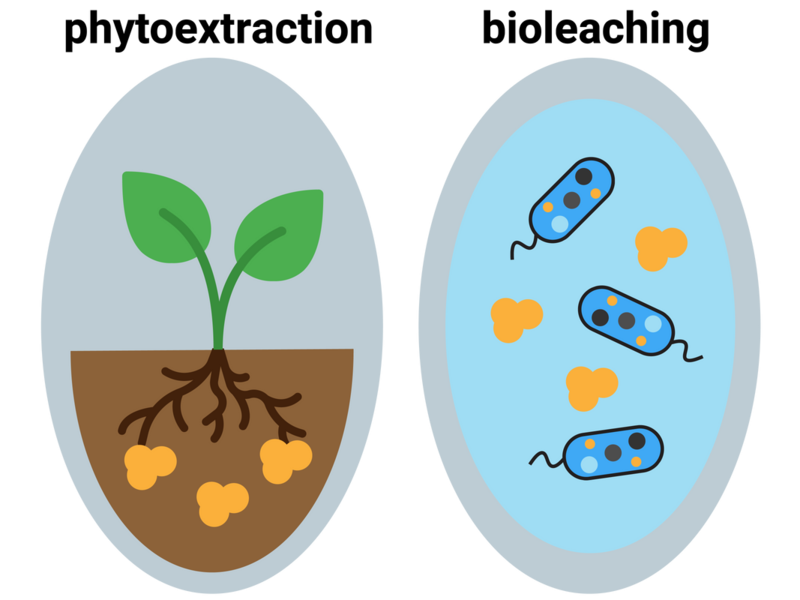 These include phytomining, and bioleaching. These methods avoid a lot of energy costs compared to traditional mining methods of digging, moving and disposing of large amounts of rock. Phytoextraction is slow, but it reduced the need to obtain ore through traditional mining, and allows us to conserve the limited supplies of more valuable ores. Bacteria can break down low-grade ores to produce an acidic solution (called a leachate) containing metal ions. Bioleaching is used to extract copper. It doesn't need high temperatures, but it does produce toxic substances, including sulfuric acid, which damage the environment. 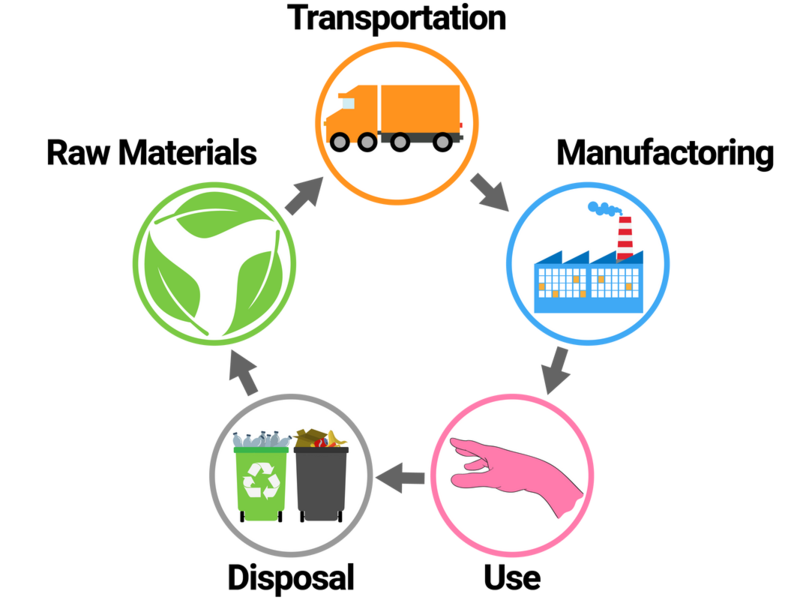 This is much less wasteful as we are no longer wasting valuable raw materials, and saves on huge energy demands to extract new metals. It also causes much less damage to the environment (as less quarries and mines are needed), reducing noisy and heavy traffic. 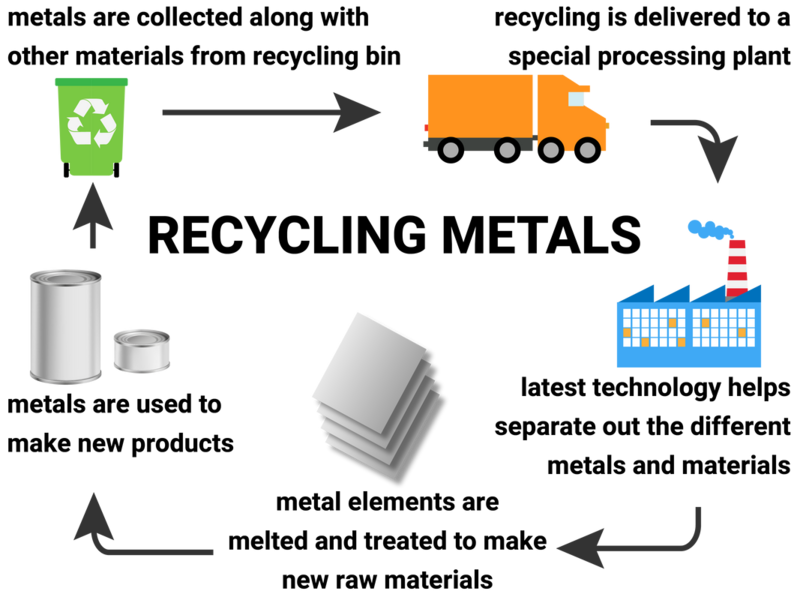 We often need to take transport of the raw materials, and the product, into account - as these can be transported huge distances back-and-forth from country to country, via ships or aeroplanes before they even end up at your home, school, or workplace.